Tres Zapotes (Tres sah-po-tes, or "three sapodillas") is an important Olmec archaeological site located in the state of Veracruz, in the south-central lowlands of the Gulf coast of Mexico. It is considered the third most important Olmec site, after San Lorenzo and La Venta. Named by archaeologists after the evergreen tree native to southern Mexico, Tres Zapotes flourished during the Late Formative/Late Preclassic period (after 400 BC) and was occupied for almost 2,000 years, until the end of the Classic period and into the Early Postclassic. The most important findings at this site include two colossal heads and the famous stela C.
The site of Tres Zapotes lies on the hillside of a swampy area, near the Papaloapan and San Juan rivers of southern Veracruz, Mexico. The site contains more than 150 structures and about forty stone sculptures. Tres Zapotes became a main Olmec center only after the decline of San Lorenzo and La Venta. When the rest of the Olmec culture sites started to wane at around 400 BC, Tres Zapotes continued to survive, and it was occupied until the Early Postclassic about AD 1200. Most of the stone monuments at Tres Zapotes date to the Epi-Olmec period (which means post-Olmec), a period that began around 400 BC and signaled the decline of the Olmec world. The artistic style of these monuments shows a gradual decline of Olmec motifs and increasing stylistic connections with the Isthmus region of Mexico and the highlands of Guatemala. Stela C also belongs to the Epi-Olmec period. This monument features the second oldest Mesoamerican Long Count calendar date: 31 BC. Half of Stela C is on display in the local museum at Tres Zapotes; the other half is at the National Museum of Anthropology in Mexico City. 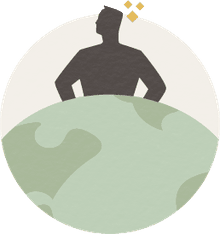 Archeologists believe that during the Late Formative/Epi-Olmec period (400 BC-AD 250/300) Tres Zapotes was occupied by people with stronger connections with the Isthmus region of Mexico, probably Mixe, a group from the same linguistic family of the Olmec. After the decline of the Olmec culture, Tres Zapotes continued to be an important regional center, but by the end of the Classic period the site was in decline and was abandoned during the Early Postclassic. More than 150 structures have been mapped at Tres Zapotes. These mounds, only a handful of which have been excavated, consist mainly of residential platforms clustered in different groups. The residential core of the site is occupied by Group 2, a set of structures organized around a central plaza and standing almost 12 meters (40 feet) tall. Group 1 and the Nestepe Group are other important residential groups located in the immediate periphery of the site. Most Olmec sites have a central core, a "downtown" where all the important buildings are located: Tres Zapotes, in contrast, features a dispersed settlement model, with several of its most important structures located on the periphery. This may have been because most of those were constructed after the decline of Olmec society. The two colossal heads found at Tres Zapotes, Monuments A and Q, were not found in the core zone of the site, but rather in the residential periphery, in Group 1 and Nestepe Group. Because of its long occupation sequence, Tres Zapotes is a key site not only for understanding the development of the Olmec culture but, more generally for the transition from Preclassic to Classic period in the Gulf Coast and in Mesoamerica. 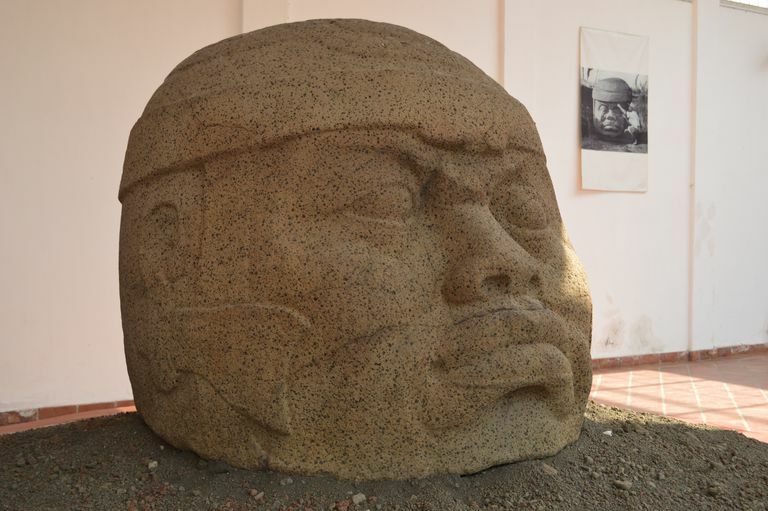 Archaeological interest at Tres Zapotes begun at the end of the 19th century, when in 1867 the Mexican explorer José Melgar y Serrano reported seeing an Olmec colossal head in the village of Tres Zapotes. Later on, in the 20th century, other explorers and local planters recorded and described the colossal head. In the 1930s, archaeologist Matthew Stirling undertook the first excavation at the site. After that, several projects, by Mexican and United States institutions, have been carried out at Tres Zapotes. Among the archaeologists who worked at Tres Zapotes include Philip Drucker and Ponciano Ortiz Ceballos. However, compared to other Olmec sites, Tres Zapotes is still poorly known. Casellas Cañellas E. 2005. El Contexto arqueológico de la cabeza colosal Olmeca Número 7 de San Lorenzo, Veracruz, México. Bellaterra: Universitat Autònoma de Barcelona. Loughlin ML, Pool CA, Fernandez-Diaz JC, and Shrestha RL. 2016. Mapping the Tres Zapotes Polity: The Effectiveness of Lidar in Tropical Alluvial Settings. Advances in Archaeological Practice 4(3):301-313. Killion TW and Urcid J. 2001. The Olmec Legacy: Cultural Continuity and Change in Mexico's Southern Gulf Coast Lowlands Journal of Field Archaeology 28(1/2):3-25. Manzanilla L and Lopez Lujan L (eds.). 2001 . Historia Antigua de Mexico. Mexico City: Miguel Angel Porrúa. Pool CA, Ceballos PO, del Carmen Rodríguez Martínez M, and Loughlin ML. 2010. The early horizon at Tres Zapotes: implications for Olmec interaction. Ancient Mesoamerica 21(01):95-105. Pool CA, Knight CLF, and Glascock MD. 2014. Formative obsidian procurement at Tres Zapotes, Veracruz, Mexico: implications for Olmec and Epi-Olmec political economy. Ancient Mesoamerica 25(1):271-293. Pool CA (ed.). 2003. Settlement Archaeology and Political Economy at Tres Zapotes, Veracruz, Mexico. Los Angeles: Cotsen Institute of Archaeology. Pool CA. 2007. Olmec Archaeology and Early Mesoamerica. Cambridge, Cambridge University Press. VanDerwarker A, and Kruger R. 2012. Regional variation in the importance and uses of maize in the Early and Middle Formative Olmec Heartland: New archaeobotanical data from the San Carlos homestead, southern Veracruz. Latin American Antiquity 23(4):509-532.